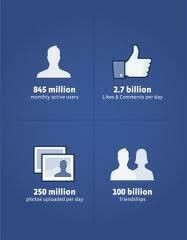 Well by now we all know what a huge success Facebook is. It could very well have been the fourth largest country!! But still, we have noticed that many companies either don’t have a Facebook Page or either have one that is very poorly managed. Not having a FaceBook page is ba d but having one that is poor in quality is suicidal! FaceBook Page is a direct reflection of your company. According to a market research company report a company’s FaceBook Page has 50% more impact on a person that the company’s website!!! WOW! Now that is something! Your FaceBook Page is more important that your freaking website!!! Let us see WHY MAKE A PAGE? 1. Subconciously it tells the visitor that your company is up-to-date with modern technology, that you are in step with the times and thus can connect with the visitor. 2. When they see people posting and interacting with the company on the FaceBook Page, it again conveys a message that the service/product is used by people thereby implying that it is a quality product.Basically establishing trust and assuring the visitor of your genuineity. Posted in social media and tagged Business, Customer, facebook, Facebook Page, List of countries and outlying territories by total area, make a page, Market research, Online Communities, social media, Social Networking, Technology, WOW! Thanks for sharing your thoughts. Its very useful. Just when I was thinking of how to publicise Project Venture, this appeared.